Come join us for an Ecuador Team Meeting in Charleston at James Island Christian Church (12 Sawgrass Rd, Charleston, SC 29412) on Wednesday, January 17 at 6pm. Dinner will be provided. RSVP in the below form. If you do not live in Charleston, notes will be provided to you after the meeting. 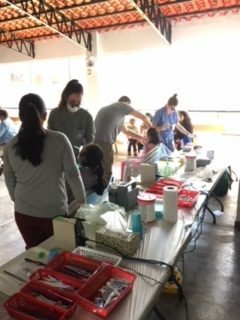 If any questions arise before then about any aspect of the trip including travel, please pass them along to Katie Koon at dentalcommunityfellowship@gmail.com.